St. Augustine drivers who are interested in purchasing a hybrid will appreciate the blend of efficiency and technology found in the Toyota Prius. A used Toyota Prius is great for commuting and driving around the Jacksonville area. Visit Beaver Toyota St. Augustine today to check out our comprehensive inventory of used Toyota Prius hybrid vehicles! CARFAX One-Owner. Clean CARFAX. PRISTINE CONDITION, NO ACCIDENTS ON CARFAX REPORT, One Owner, NONSmoker, Local Trade, MUST SEE!, Fresh Oil Change, Passed Dealership Inspection, Freshly Detailed, MINT CONDITION, EXCELLENT CONDITION, GREAT PRICE ,GREAT DEAL GAS SAVER ,ANOTHER AMAZING DEAL FROM THE LEATHER IN USED CARS IN THE MARKET!!. 51/48 City/Highway MPG Priced below KBB Fair Purchase Price! White 2010 Toyota Prius II FWD 1.8L 4-Cylinder DOHC 16V VVT-i Awards: * 2010 KBB.com Best Resale Value Awards * 2010 KBB.com Top 10 Green Cars White 2010 Beaver Toyota Prius II is a 5D Hatchback FWD . This Florida Hatchback has a 1.8L 4-Cylinder DOHC 16V VVT-i engine. Call right now and schedule a test drive. Ask for stock number W003114A, the Florida 2010 Beaver Toyota Prius . Shop Us Online at www.beavertoyotastaugustine.com. Serving Jacksonville, Palm Coast, Daytona, Gainesville and St Augustine. Beaver Toyota St Augustine on 2995 US Hwy 1 South in St Augustine. PRISTINE CONDITION, Bluetooth Handsfree, NO ACCIDENTS ON CARFAX REPORT, Rear View Camera, One Owner, NONSmoker, Local Trade, Bought here NEW!, MUST SEE!, New Tires, Fresh Oil Change, Passed Dealership Inspection, Freshly Detailed, MINT CONDITION, EXCELLENT CONDITION, COMPLETE SERVICES ,ABSOLUTELY NEW ,MRS OLD OWNED IT ,, MRS OLD TOOK THE BEST CARE OF HER PRIUS ,AND WE HERE AT BEAVER TOYOTA GAVE IT OUR FINAL TOUCH TO MAKE IT THE BEST SERVICE CAR IN AMERICA!!. 51/48 City/Highway MPG Silver 2011 Toyota Prius Two FWD 1.8L 4-Cylinder DOHC 16V VVT-i Awards: * 2011 KBB.com Brand Image Awards Silver 2011 Beaver Toyota Prius Two is a 5D Hatchback FWD . This Florida Hatchback has a 1.8L 4-Cylinder DOHC 16V VVT-i engine. Call right now and schedule a test drive. 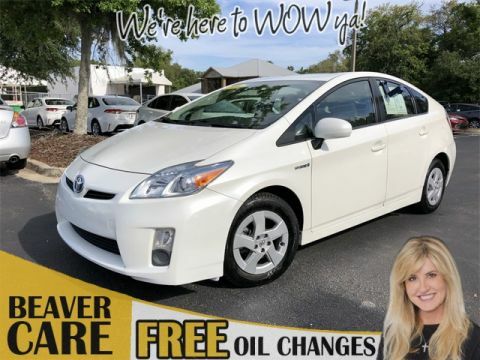 Ask for stock number 505447A, the Florida 2011 Beaver Toyota Prius . Shop Us Online at www.beavertoyotastaugustine.com. Serving Jacksonville, Palm Coast, Daytona, Gainesville and St Augustine. Beaver Toyota St Augustine on 2995 US Hwy 1 South in St Augustine. CARFAX One-Owner. Clean CARFAX. Certified. PRISTINE CONDITION, Bluetooth Handsfree, NO ACCIDENTS ON CARFAX REPORT, TOYOTA CERTIFIED*7 YEAR/100K MILE WARRANTY*$0 DEDUCTIBLE*BUY WITH PEACE OF MIND, One Owner, NONSmoker, Local Trade, MUST SEE!, Fresh Oil Change, Passed Dealership Inspection, Freshly Detailed, EXCELLENT CONDITION, another certified used car from the best certified TOYOTA DEALERSHIP IN THE COUNTRY! !ABSOLUTELY BRAND NEW ,BEAVER TOYOTAS BEST USED CARS IN THE COUNTRY,WE BRING TO YOU THE SAFEST AND BEST PREPARED USED CARS IN THE MARKET!!. 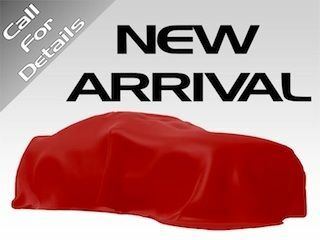 58/53 City/Highway MPG Red Metallic 2017 Toyota Prius Two Eco FWD 1.8L 4-Cylinder DOHC 16V VVT-i Toyota Certified Used Hybrids Details: * 174 Point Inspection * Vehicle History * Roadside Assistance * Limited Comprehensive Warranty: 12 Month/12,000 Mile (whichever comes first) from certified purchase date. Battery 8 years/100,000 miles (whichever comes first) from original in-service date. Roadside Assistance for 1 Year * Warranty Deductible: $50 * Transferable Warranty * Powertrain Limited Warranty: 84 Month/100,000 Mile (whichever comes first) from original in-service date Awards: * 2017 KBB.com 5-Year Cost to Own Awards * 2017 KBB.com 10 Best Hybrid Cars Under $40,000 * 2017 KBB.com 10 Most Awarded Brands * 2017 KBB.com Best Resale Value Awards Red Metallic 2017 Beaver Toyota Prius Two Eco is a 5D Hatchback FWD . This Florida Hatchback has a 1.8L 4-Cylinder DOHC 16V VVT-i engine. Call right now and schedule a test drive. Ask for stock number 528468, the Florida 2017 Beaver Toyota Prius . Shop Us Online at www.beavertoyotastaugustine.com. Serving Jacksonville, Palm Coast, Daytona, Gainesville and St Augustine. Beaver Toyota St Augustine on 2995 US Hwy 1 South in St Augustine. CARFAX One-Owner. Clean CARFAX. Certified. PRISTINE CONDITION, Bluetooth Handsfree, NO ACCIDENTS ON CARFAX REPORT, TOYOTA CERTIFIED*7 YEAR/100K MILE WARRANTY*$0 DEDUCTIBLE*BUY WITH PEACE OF MIND, Rear View Camera, One Owner, NONSmoker, Local Trade, MUST SEE!, Fresh Oil Change, Passed 160 Point Toyota Certified Inspection, Passed Dealership Inspection, Freshly Detailed, MINT CONDITION, EXCELLENT CONDITION, ANOTHER PRISTINE CERTIFIED USED CARS IN THE COUNTRY ,, THE BEST USED CARS IN AMERICA,THE SAFEST FOR YOU AND YOUR FAMILY!!. 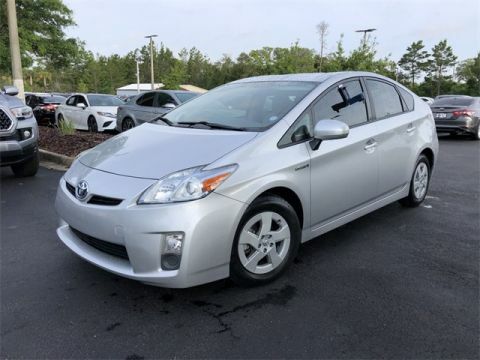 54/50 City/Highway MPG Silver 2016 Toyota Prius Two FWD 1.8L 4-Cylinder DOHC 16V VVT-i Toyota Certified Used Hybrids Details: * Limited Comprehensive Warranty: 12 Month/12,000 Mile (whichever comes first) from certified purchase date. Battery 8 years/100,000 miles (whichever comes first) from original in-service date. Roadside Assistance for 1 Year * Vehicle History * Powertrain Limited Warranty: 84 Month/100,000 Mile (whichever comes first) from original in-service date * 174 Point Inspection * Roadside Assistance * Warranty Deductible: $50 * Transferable Warranty Awards: * 2016 IIHS Top Safety Pick+ * 2016 KBB.com 10 Most Fuel-Efficient Cars Under $25,000 * 2016 KBB.com 10 Favorite Fuel Sippers * 2016 KBB.com 10 Best Hybrid Cars Under $30,000 Silver 2016 Beaver Toyota Prius Two is a 5D Hatchback FWD . This Florida Hatchback has a 1.8L 4-Cylinder DOHC 16V VVT-i engine. Call right now and schedule a test drive. Ask for stock number 3070805A, the Florida 2016 Beaver Toyota Prius . Shop Us Online at www.beavertoyotastaugustine.com. Serving Jacksonville, Palm Coast, Daytona, Gainesville and St Augustine. Beaver Toyota St Augustine on 2995 US Hwy 1 South in St Augustine. The Toyota Prius debuted in 2001 debut, this vehicle has been innovating and changing the hybrid game ever since. In 2010 the Toyota Prius went through a redesign, and it now includes standard Toyota Safety Sense (TSS) and more than 50 mpg. 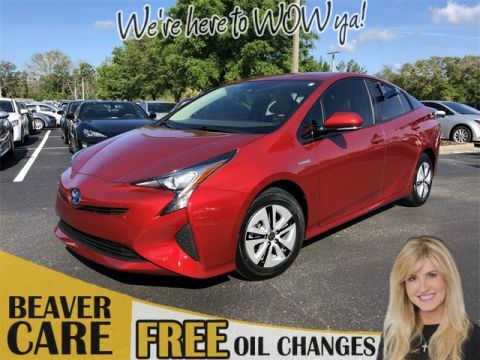 Buying a used Toyota Prius or Certified Pre-Owned Toyota Prius is a smart move for Palm Coast and Palatka drivers who want to get most for their money with an eco-friendly vehicle.